The beautiful, elegant and healing sounds of the Cherub make it the perfect addition to sensory gardens in children's centres, special needs environments, hospitals, nursing homes, schools or colleges. 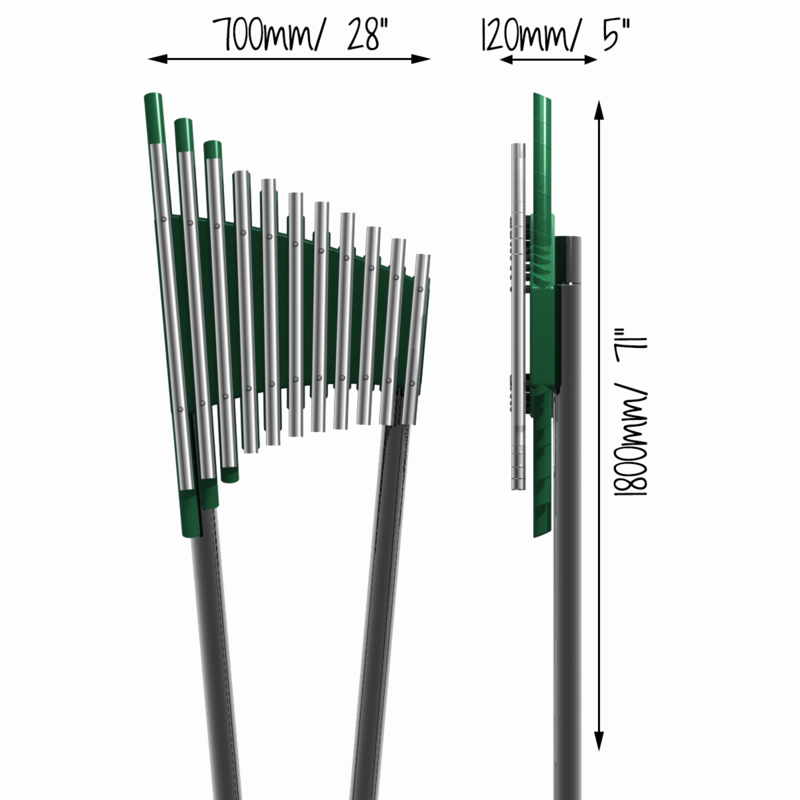 The 11 tubular bells are made from hand tuned, heavy duty anodized aluminium and are each mounted individually over impact-resistant dark green ABS plastic resonators which are equally precisely tuned. The Cherub can be wall mounted or affixed to posts for easy installation into any surface. The elegant design is based on the Percussion Play Cadenza xylophone, however each note has a half degree spacing, creating a shape that when mirrored, resembles the wings of an Angel - hence the inspiration for the name.